Do you consider yourself to be the greatest fan of Italian cuisine? Well, no one can blame you. It is, indeed, one of the most mouthwatering cuisines of all times. Right from the pasta to the pizza, everything in Italian cuisine is delicious. 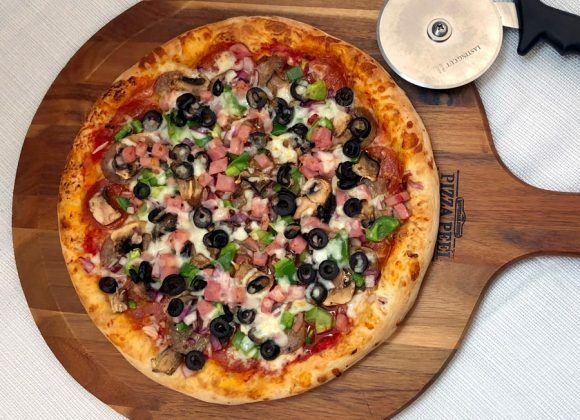 If you always end up ordering Italian food whenever you have a party or an event that you are organizing whether at home or in office, then you must need a pizza delivery service. We, at Pizza Machine, is just what you need. We are a reputed and popular Italian restaurant which also offers great delivery service too. We have been around for more than 25 years now. So, we can provide you with finger-licking food at all occasions. We are known for our variety of menu, delicious taste, and speedy service. Our menu consists of all kinds of classic and gluten-free pizza, pasta, subs, wraps, and various kinds of desserts too. So, if you are from areas like Cooper City, Hollywood FL, Miramar, Pembroke Pines, Weston, then you must resort to us without hesitation. Here, we have enlisted a few common things to check before ordering from an Italian restaurant. Take a look. Of course, the most important thing when you are ordering Italian food is the taste of the dishes. Whether you are simply ordering the dish to meet your urgent cravings or actually have a house full of guests to feed, you need to make sure that the restaurant sticks to the authentic Italian flavors and seasonings so that you get a beautiful taste, wanting for more. The next thing that you must check before picking an Italian restaurant is the variety you can get in the menu. Italian cuisine is diverse. You must check if the restaurant covers various kinds of dishes or not. The more, the merrier, isn’t it? So, if you think we have these above-mentioned factors to make your Italian cuisine experience even more enriching, then you must contact us today.